Optimize your website to convert visitors to leads. Recommended for all digital marketers. Get found online: Make your website search engine friendly by understanding and applying the fundamentals of SEO. Engage website visitors: There are two ingredients of an engaging website - easy navigation and great content. Learn how to do both. Convert them to leads: Learn how to convert your website visitors to leads and engage them till they become customers. 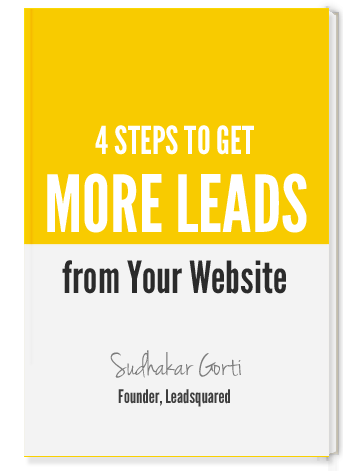 Sudhakar, co-founder of LeadSquared, heads the product design and development. He is on a mission to help small business marketers, through the power of simplicity in LeadSquared marketing software.